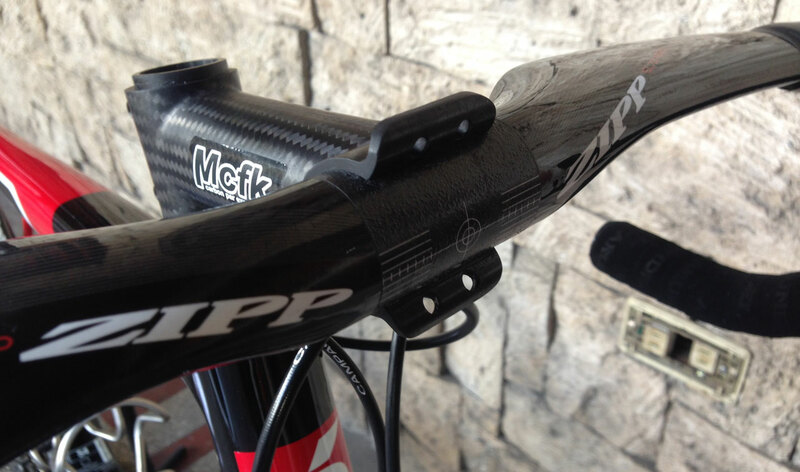 I have MCFK stem and Deda Carbon Blast clip-one bar. 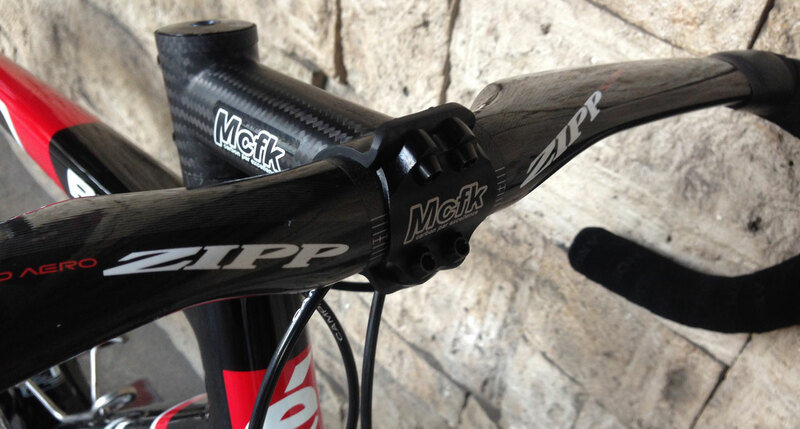 ZIPP SL-70 Aero Carbon: Compatible with MCFK, but not clip-on compatible. Can You offer compatible AERO handlebars? I have Zipp SL-70 Aero handlebars and looking for a "clip-on" aero tt bars. any solution? Did anyone ever get the mcfk stem onto the aeronova bars? Thinking I would like to, but first want to hear if they play well together. This would be the eventual outcome but first need to find out if out fits. "The issue with the Aeronova was it had double wings. Wings in the front and wings in the back. 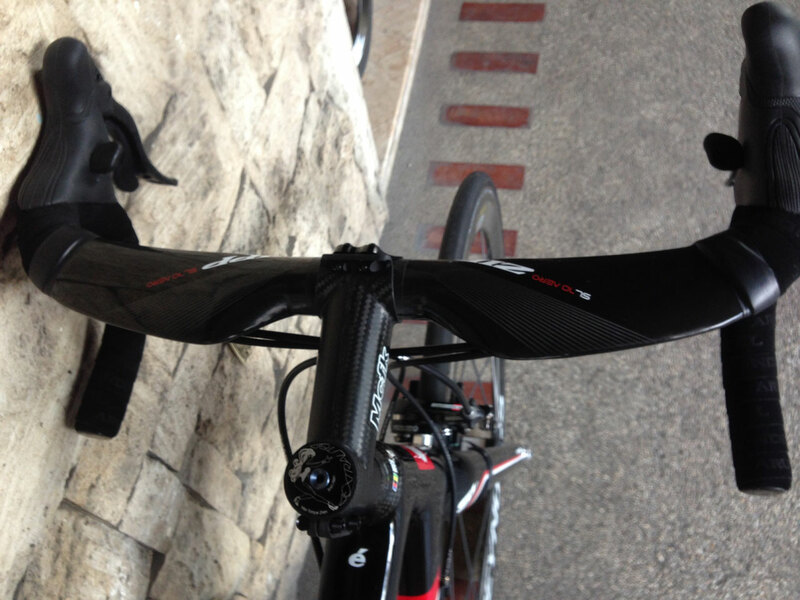 Fortunately, the Zipps have only one wing in the back giving me a flush surface in the front. So to install it you flip the stem upside down and slide it across from left to right. Once the stem is on there just rotate the stem and you are good to go. I have a Aerotundo so am interested in the same question. Love the bar but would like to go lighter on the stem. Question is if that MCFK stem handle that weight. I've read that and part from that i own both MCFK stem and handlebar. 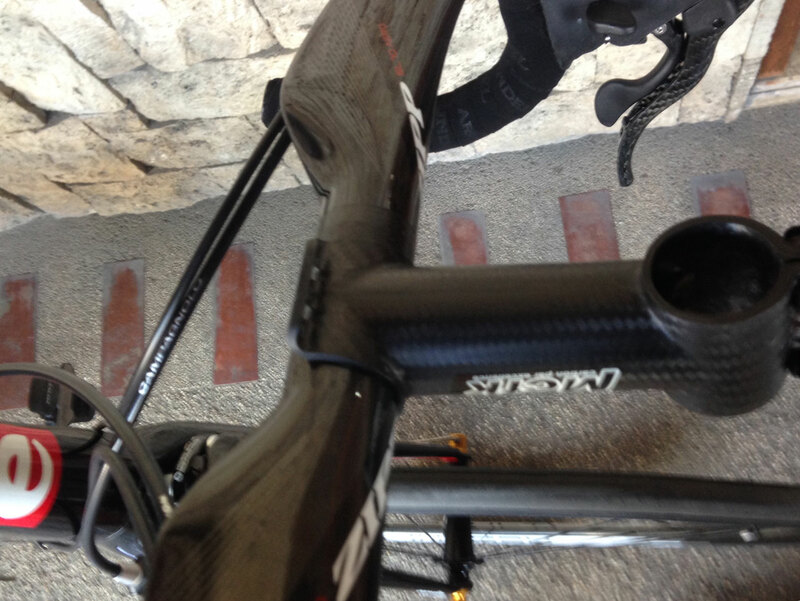 But i am not sure i would use this stem if i rode with a clip-on. The stem is OK for MTBing. But note that almost none ride a stiff front end when they ride a MTB. Therefor the stem takes much less stress. But a road bike + resting on clip-ons might be something else. I would seriously ask MCFK if this was ideal. MCFK told me it was OK to ride CX with my handlebar, but i had a Lauf Grit on my bike. R2 bike told me not to ride this handlebar on my gravel bike. 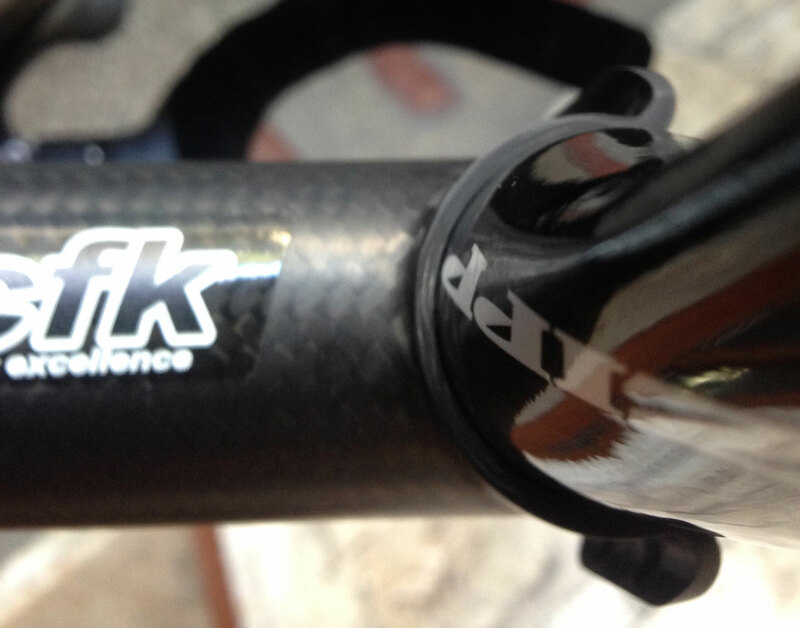 how weight mcfk carbon stem? My 100mm 3K Mcfk stem is 89g. Older is lighter, I think.